A high quality pack frame will be useful for transporting your personal gear, and is a must for packing a bear hide. A hide may weigh over 100 lbs., and the skull will add 25 lbs. The appropriate equipment will make this part of a successful hunt much easier. Along with whatever personal hunting, fishing or camping equipment you bring, you should also take the items listed below on your big game hunt. From the list above, other than your weapon, a knife may be all that needs to be carried into the field if you will be hunting close to camp or your vehicle. Otherwise, you will need to pack your gear along. Your guide or outfitter will usually supply most the equipment and the field care of your trophy (always check what is included and what you should bring), however, for those that hunt alone or with partners and no guide or outfitter, this article is for you! Perhaps the most important consideration when hunting large game is the animal's size. For instance - An adult moose can weigh from 600 to 1800 pounds, and once down, it will not be easily moved. 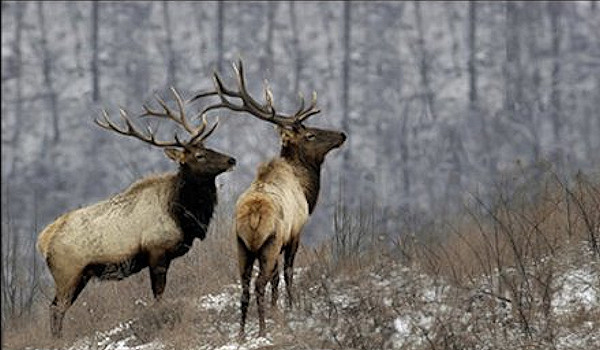 Big game hunting is an exciting sport, with plenty of cross-country traveling by plane, on foot or on horseback. Common among the big game animals in North America are moose,elk, deer, caribou, buffalo, big horn sheep, mountain lion and bears. Big game hunting needs some amount of seriousness. Planning is necessary due to the risks involved like high altitude, cold weather, exhaustion and fatigue, and attacks from wild animals. The Hunting Gear Checklist for Big Game is compiled from Alaska hunter and taxidermist Dan Lewis. Some of the necessary hunting equipment needed in the field to transport and preserve your trophy is listed below.